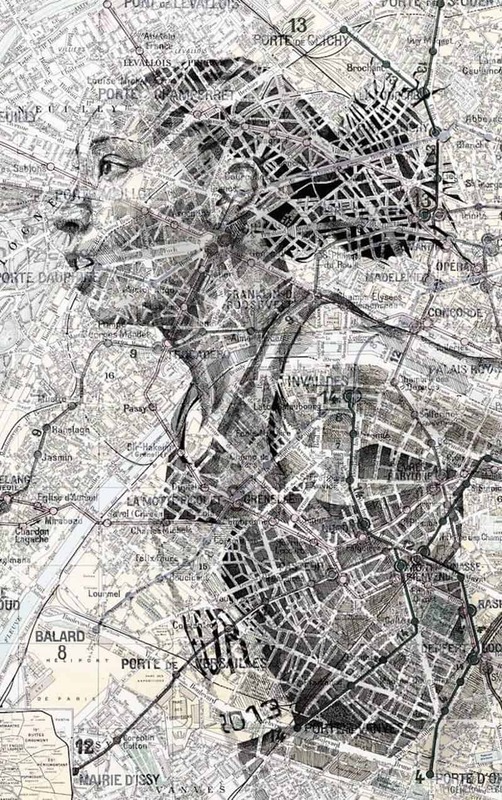 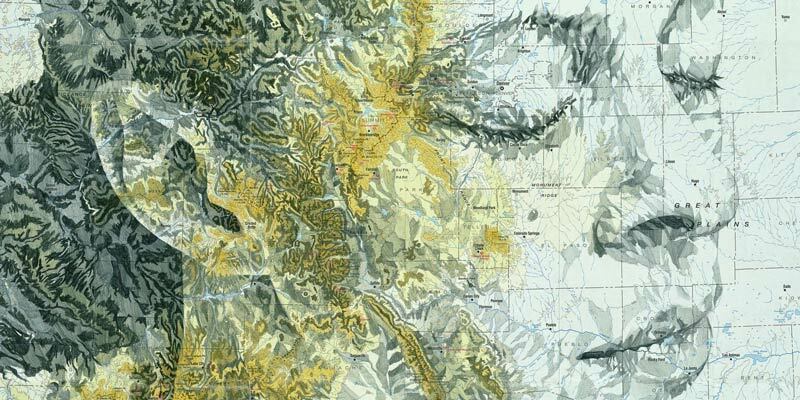 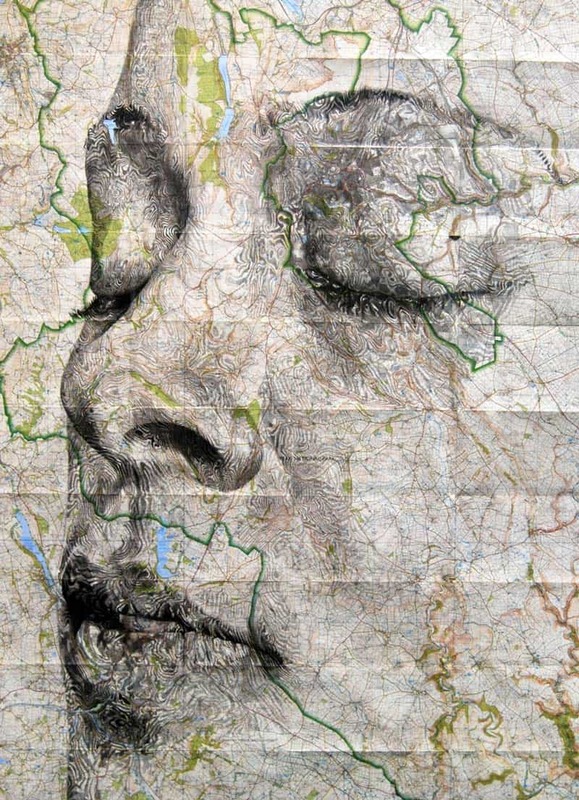 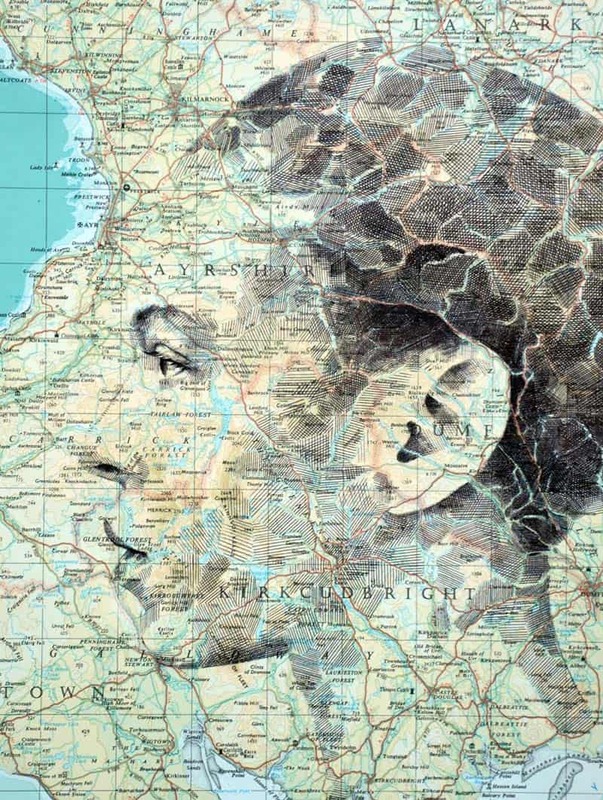 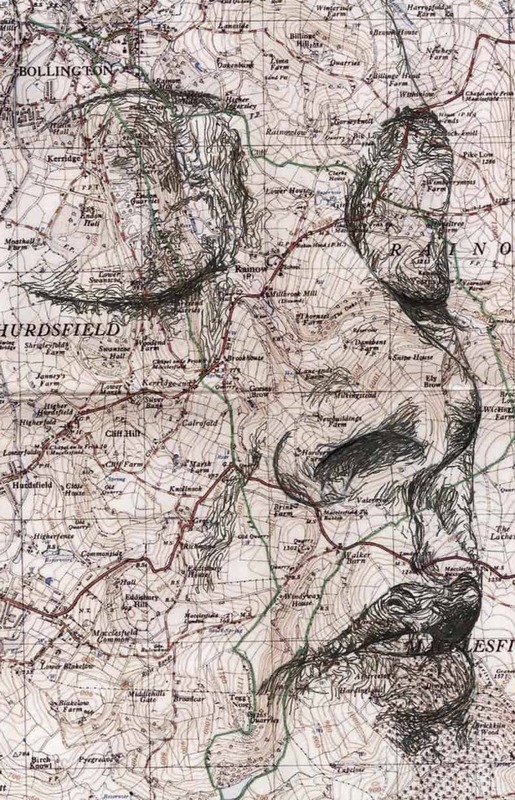 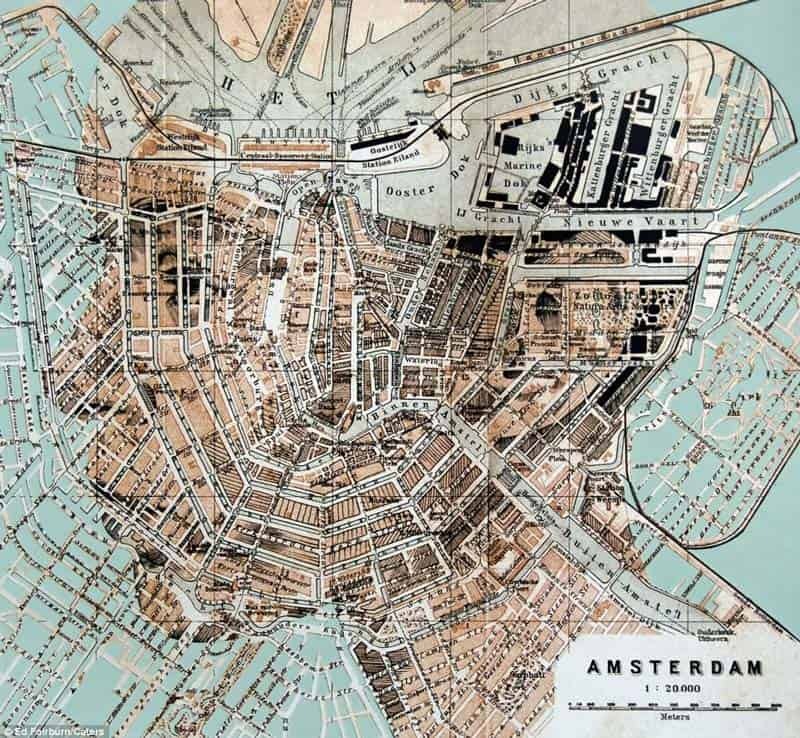 Ed Fairburn is a British artist known for using paper maps as canvases for his detailed portrait work. 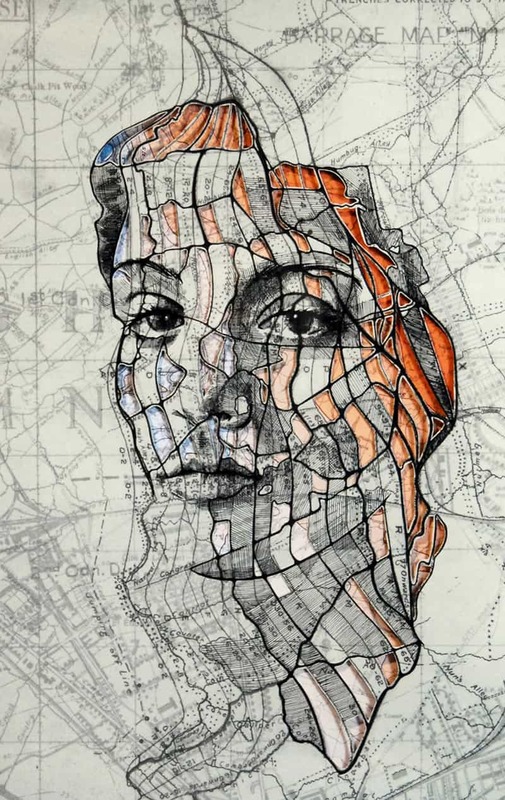 His works feature the use of the chaotic patchwork of roads, trains, and rivers printed on maps as the framework for large-scale portraits in meticulous ink or pencil crosshatching. 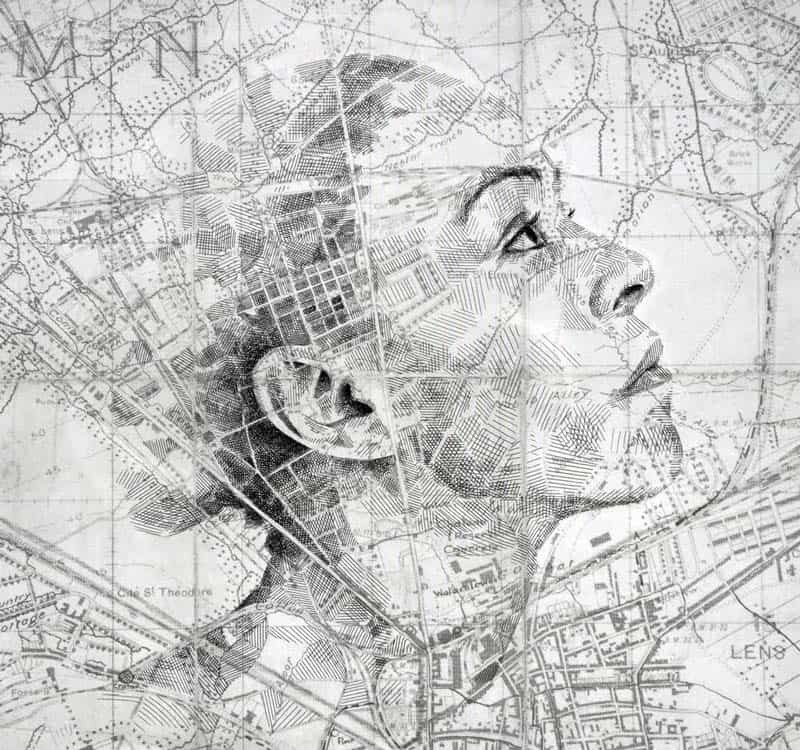 Fairburn beautifully incorporates map features into portraits, whether it be topography forming the textured hair of a woman or roads outlining curves of the body. 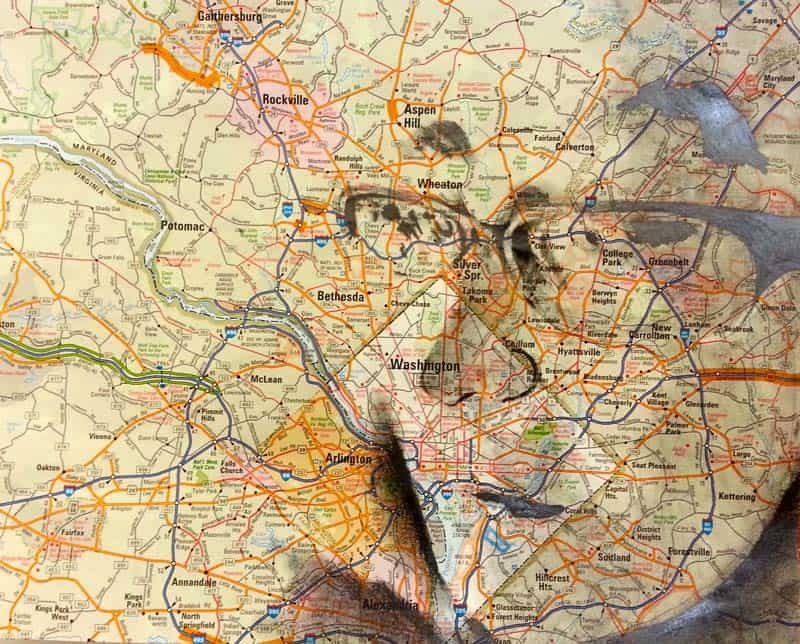 His end results appear so much a part of the map, that it is difficult to image them ever existing separately. 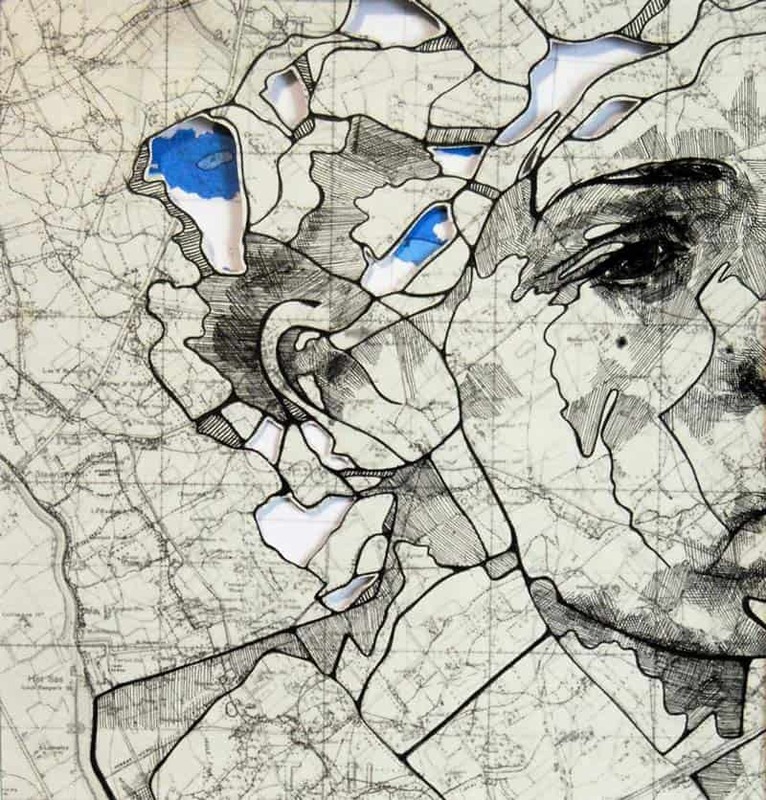 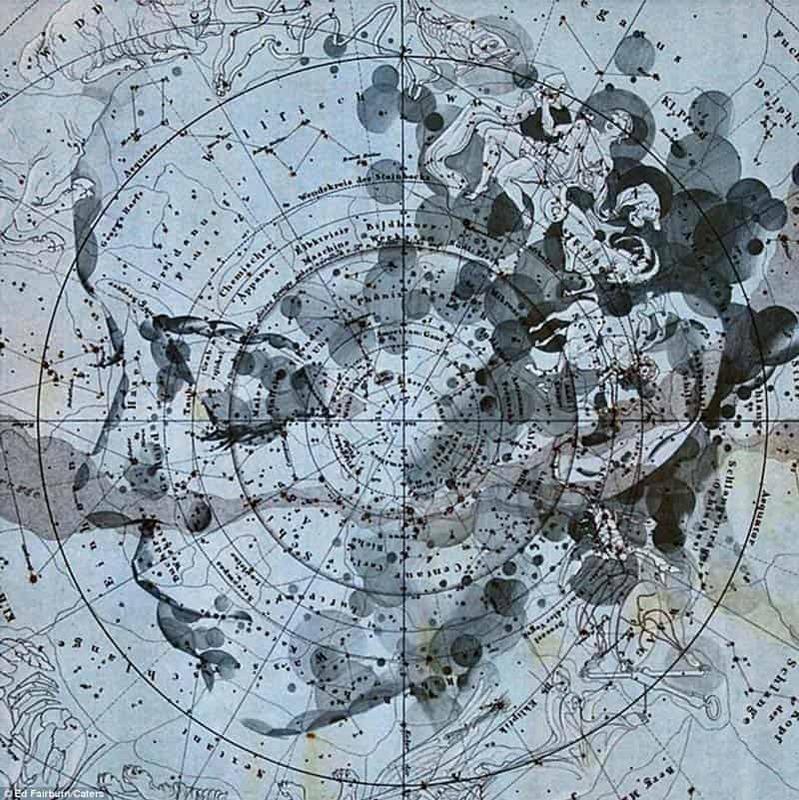 Ed Fairburn was born in 1989 in Southampton, United Kingdom. 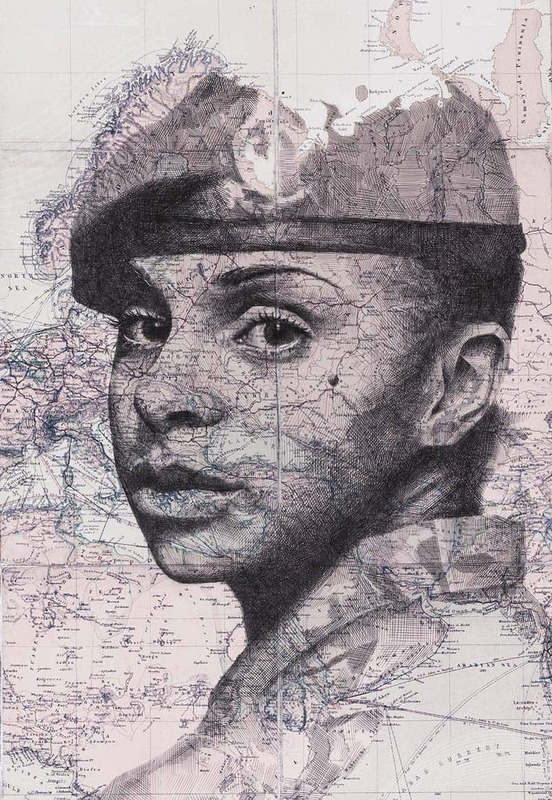 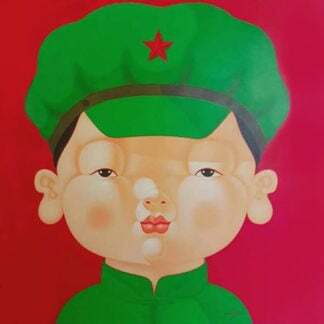 Following his graduation from the Cardiff School of Art and Design (CSAD) in 2012, he was shortlisted for the Association of Illustration (AOI) Awards in 2013. 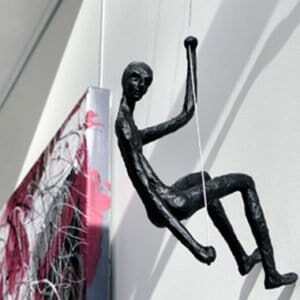 He is currently represented by Mike Wright Gallery in the United States. 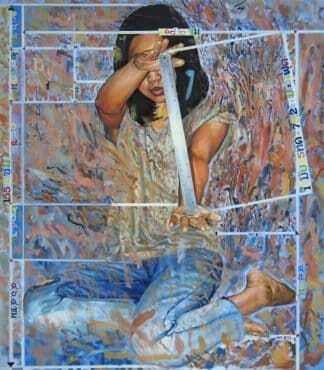 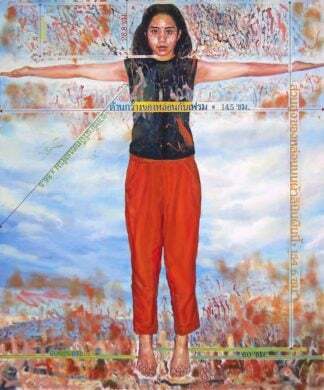 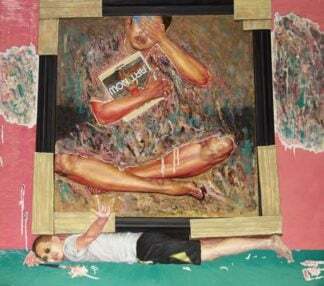 His work is also exhibited across the United Kingdom and several international galleries.